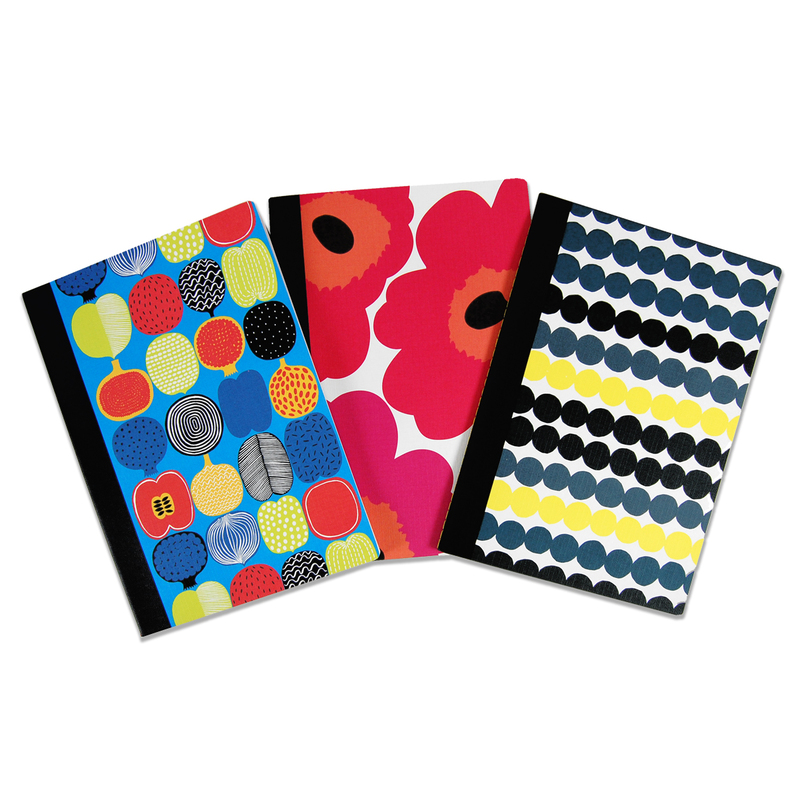 More about Marimekko Notebook Collection Set of 3 The Marimekko Notebook Collection from Chronicle Books is a delightful and practical trio. The stitched binding adds durability to the slim paperback notebooks, and the print on the covers offers the colorful, winsome design your desk or bag craves. Each set includes three notebooks, with one of each featuring Maija Isola’s Unikko, Maija Louekari’s Räsymatto, and Aino-Maija Metsola’s Kompotti. 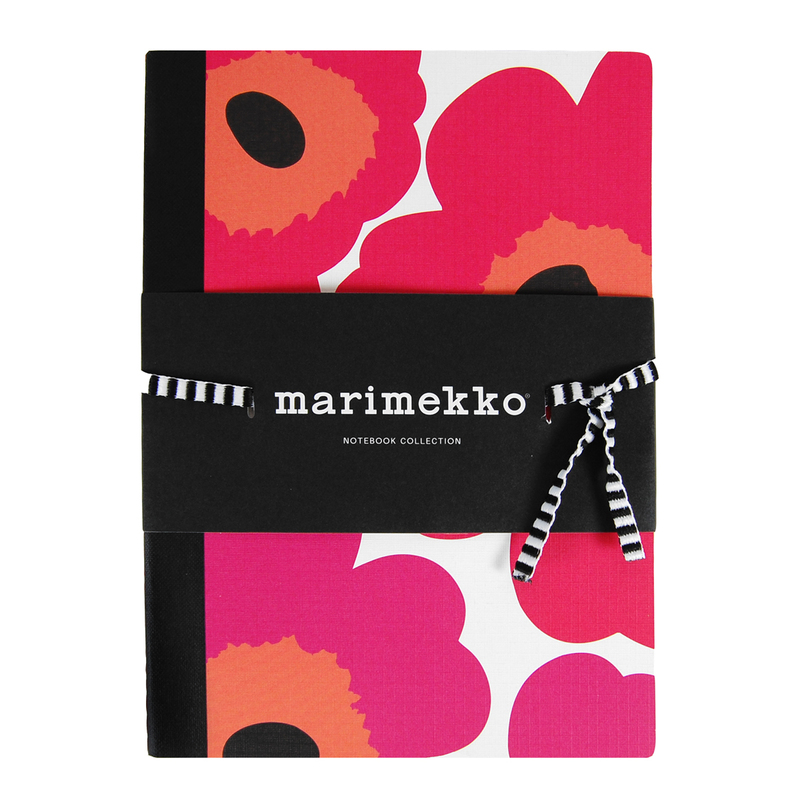 Whether you’re keeping a record or brainstorming on these clean, lined pages, the Marimekko Notebook Collection will keep you inspired. Each notebook contains 64 lined pages. Price is for set of three notebooks. I was happy with all the design and the quality of the paper, and especially the sturdy nature of the outside. The binding was also well made. They look like they will hold up well to normal use and being a bit abused in a backpack or briefcase. For some things in life (like journaling) nothing beats real paper. Each notebook has a beautiful design, and the quality is really good. The binding is actually sewn. This makes the journals easy to open and keep open comfortably while you write.